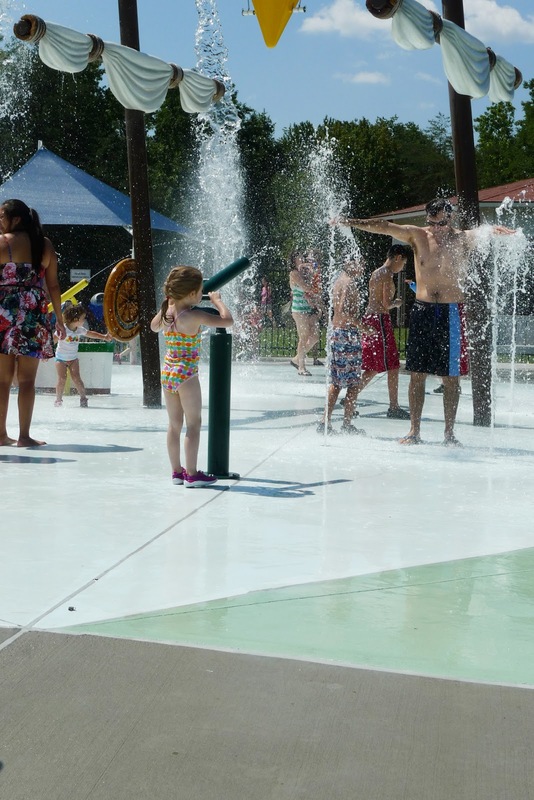 Continuing the traditional frenetic pace of R and R, one of our stops last week (OK it was 2 weeks ago but Terry just got around to editing the photos) was meeting friends at the Our Special Harbor Splash Park at Lee District Park. if your kid is small enough, you will get soaked. Wearing a bathing suit is a good idea unless you want your car seat to get wet from your wet clothes. the web site states no food is allowed in the splash park area. They mean they don't want to see you eating your food there. We lost the carrots because I left them in the sweltering car, only to later note folks walking into the splash park with coolers. There's a picnic area just outside the gate so you can eat there then pop back in. have the kids wear their bathing suits under the clothes. It was just annoying to have to change them when we got there and as this isn't Russia, I figured people would be offended if they just got changed right outside where the water was (it would have motivated them to move faster). 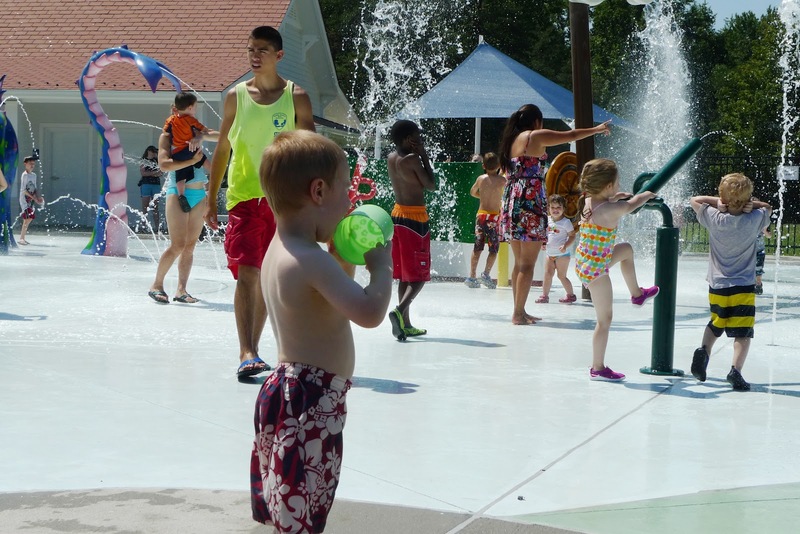 the web site states water shoes are necessary for anyone walking in the splash park area. However, I saw plenty of adults in normal sandals and kids barefoot so I don't know how strictly they abide by this. I am glad we have other needs for the water shoes I bought Alex last week, if it was just for this I would have been really annoyed. there is a playground right outside the splash park and a big grassy area for running around or kicking a ball, it would have been perfect for me to bring the kids at our normal "get out of the house" time and let them play on the playground rather than trying to entertain them closer to home while keeping an eye on the clock. Have I mentioned 11am is a silly time to open something meant for kids? You know, that water shoe thing was holding me up! Well, we also didn't get there as my older kids now like to sleep in, so once swim team ended 11 a.m. would be tough. But, yeah, the swim shoes thing bugged me, especially since we bought the LG new crocs this year...maybe next summer!